Newgrange Online Booking Suspended - Brú na Bóinne Visitor Centre is currently closed for refurbishment. For the duration of the works, the online pre-booking service has been suspended. Tickets will be issued from a temporary ticket office in the car park on a daily first come first served basis. Winter Solstice Arrangements - places inside the Newgrange chamber were selected by lottery last September. 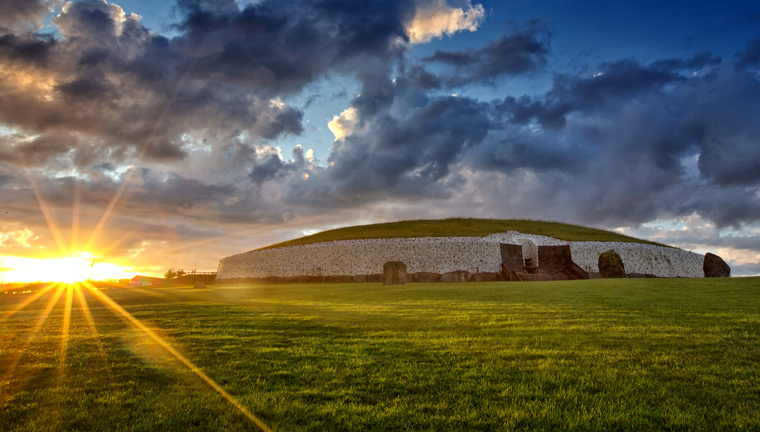 All are welcome to gather outside the entrance to the Newgrange mound on each of the mornings from December 18th to December 23rd inclusive, sunrise is at 8.58am. More information for December 21st, more information for Other Mornings.